It was an eye-watering deal. Starting in the 2017-2018 season, Japanese internet service provider Rakuten became the main global sponsor of FC Barcelona for a record €55 million per year. Only one other company, kit provider Nike, also had its logo on the iconic shirts of the “blaugrana”. They made a powerful pair of global sponsors. But the two companies may never have been around together, had Rakuten’s digital globalization begun 50 years earlier, or Nike’s Phil Knight started importing shoes in 2017 instead of 1964. To understand why, we need to look at the state of globalization when Nike was founded, and contrast it with today. 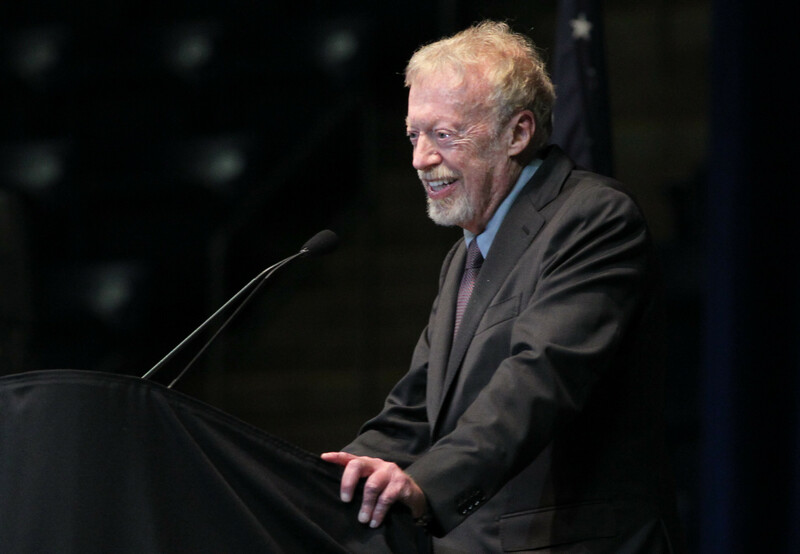 When Phil Knight started Blue Ribbon Sports in 1964 - the company that seven years later would become Nike - it wasn’t as easy to buy a product from abroad as it is today. China was an agricultural economy that produced barely any exports. Its rise as “the factory of the world” - let alone as the home of tech platforms - was decades away. And it wasn’t just China that wasn’t globalized. As a percentage of global GDP, trade stood at approximately the same level as a century earlier. Worldwide, less than one out of ten dollars of added value came from trade. The US was further ahead than most advanced economies, as many countries were still recovering from the Second World War, but the overall picture was one of local production. The early days of globalization explain Nike’s first business model. After being impressed by the running shoes of Japanese sports company Onitsuka Tiger, Knight offered to distribute the Japanese shoes in the US. Tiger would produce the shoes in Japan, and Knight would arrange the logistics, distribution and marketing in return for any profits. It was global trade and arbitration in its simplest form. In the 50 years since, there have been many structural changes to the global economy, as well as to Nike. The company stopped being a Onitsuka distributor just a few years into the joint venture, and produced its own line of shoes instead. Nike is now the largest sports company in the world, and its supply chain model with suppliers and distributors in dozens of countries is the norm for global companies. This is the modern global supply chain. Your sneakers may be designed in Portland, Oregon (home to Nike’s headquarters). The raw materials may be sourced from a dozen or so countries - wherever they are best and cheapest. The shoes may be produced in Viet Nam or Indonesia. Their regional distribution may be handled in, say, Belgium. And the sale takes place in your local shoe shop in Germany. As global trade gained in importance, tariffs dropped, and such globalized supply chains became the norm, not just for Nike, but for most multinationals. 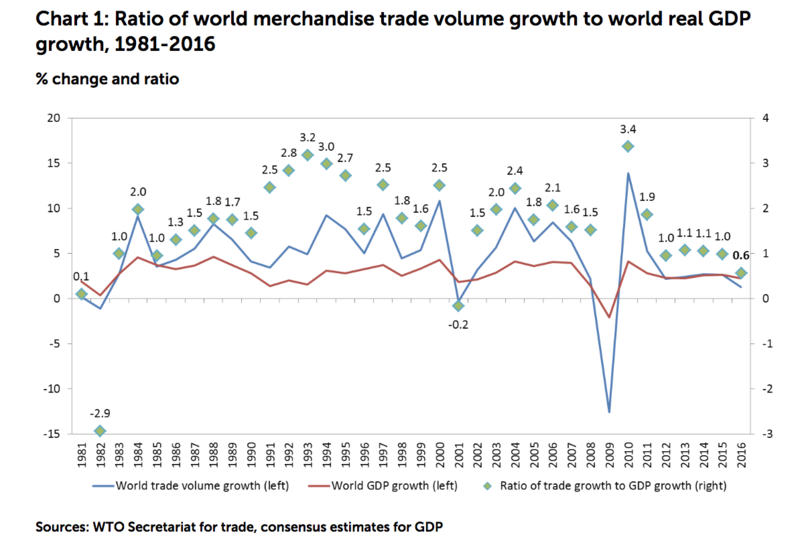 Trade now stands at close to a quarter of global GDP - its highest level ever - and despite a recent surge in more protectionist governments, new trade deals ensuring the physical flow of goods across borders still are signed every month. Yet if trade is to get another boost, it's more likely to take a different form than the global supply chain. It could come from digital trade, carried out by companies like Rakuten. But e-commerce stopped being a domestic play a long time ago, and so did Rakuten. After a period in which it focused mostly on Japanese sourcing and sales, Rakuten started international expansion in 2010. It bought similar e-commerce platforms in France, Germany, Brazil, Malaysia and other countries. By 2018, it claimed 1.2 billion users across 28 countries. It started to diversify to other verticals, including chat apps, e-book platforms and online content production. It is in this light that we should see global sponsor deals such as Rakuten’s with FC Barcelona. E-commerce is increasingly happening across borders, with consumers buying goods direct from a manufacturer in another country. At the same time, e-commerce is also expanding in the virtual realm, where digital goods can be bought and sold everywhere in the world, no matter their origin. This is the new face of globalization. To be successful at it, global recognition is key. 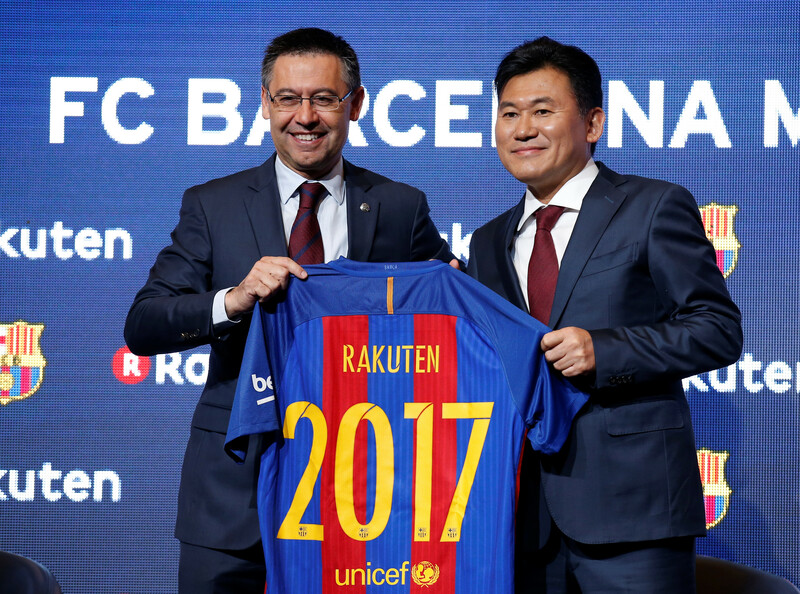 When Rakuten signed its deal with FC Barcelona in 2016, it said it did so as “an important part of its plans for global expansion”. No wonder. According to a McKinsey report that year, “approximately 12% of the global goods trade [was by then] conducted via international e-commerce”. That number has likely risen fast in the years since (no recent estimates exist). With more than four billion people now estimated to be online worldwide, and millions added every month, it seems a foregone conclusion that digital trade in all its forms will continue to rise for many years to come. It is true as much for Rakuten in the US or Europe, where it sells Japanese products direct to consumers, as for Alibaba, Amazon and other e-commerce players. What is certain is that the world has rapidly changed in the last 50 years. 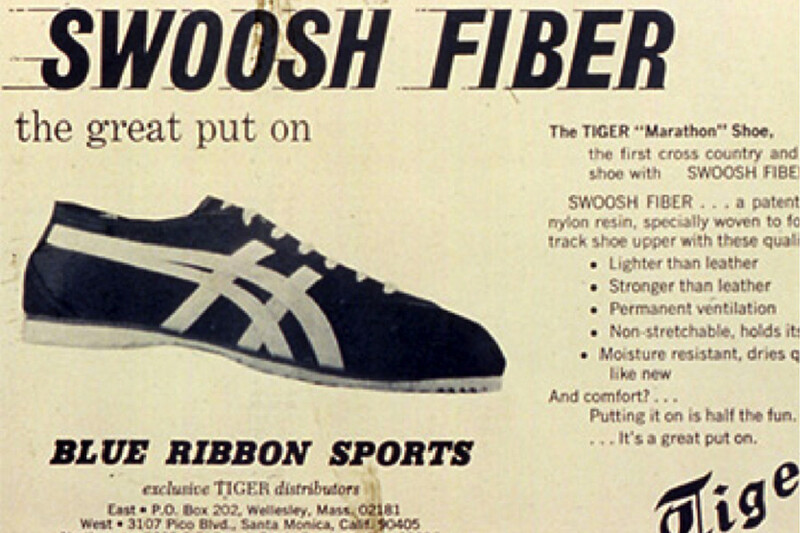 In 1964, Phil Knight could build a successful company by buying Japanese-made running shoes in bulk and selling them in the US. Today, any consumer can go to Rakuten.com in the US and buy Japanese-made Onitsuka Tiger shoes direct. The business model that worked in the 1960s likely wouldn’t work today. This doesn’t mean, of course, that Nike’s globalization model is out of date. As a matter of fact, the same company that would undercut Phil Knight if he started today is helping Phil Knight’s successors sell their products in Japan and around the world. Go to Rakuten.co.jp, and you can buy Nike sneakers direct in Japan. And of course, Nike has its own global e-commerce store. Perhaps it’s not all that odd, after all, that both companies in harmony decided to sponsor the then-most popular football club in the world on social media. Yet they should beware. Today’s winner can become tomorrow’s runner-up. Ask Barcelona. In 2018, a year after it launched the Rakuten-Nike shirt, it lost its place as most popular online club to Real Madrid. Digital globalization is huge, growing and certainly still changing.